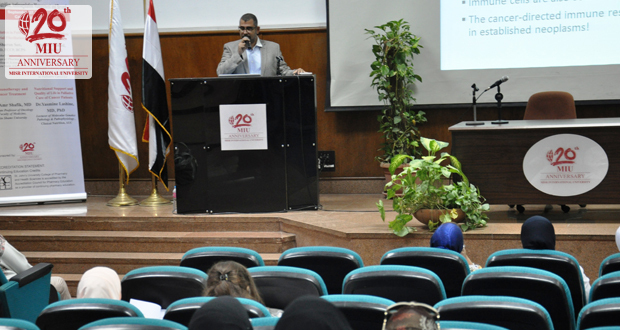 Misr International University’s Faculty of Pharmacy held its 11th Continuing Education Workshop entitled “New Trends in Oncology: A Focus on Nutrition, Anticoagulation Management and Beyond” on Tuesday, September 27th, 2016. The workshop was conducted by renowned professors and around 111 attendees from various health institutions that included Nasser Institute, Ain Shams University, Cairo University, National Cancer Institute, Alumni, Cleopatra Hospital, Maadi Military Hospital, International Medical Center, Ahmed Maher Hospital, El-Ezaby Pharmacy and Cairo University Hospitals. 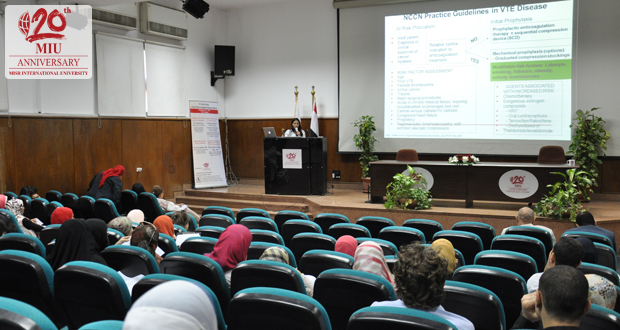 The workshop included four important sessions for the development of pharmacy practice in Egypt. The first session was held by Dr. Sharon See, Pharm.D, FCCP, BCPS, St. John’s University College of Pharmacy, New York – USA, who discussed the Anticoagulation in Patients with Atrial Fibrillation. The second session was held by Dr. Amr Shafik, MD Associate Professor of Oncology, Faculty of Medicine, Ain Shams University and he discussed the Immunotherapy and Cancer Treatment. 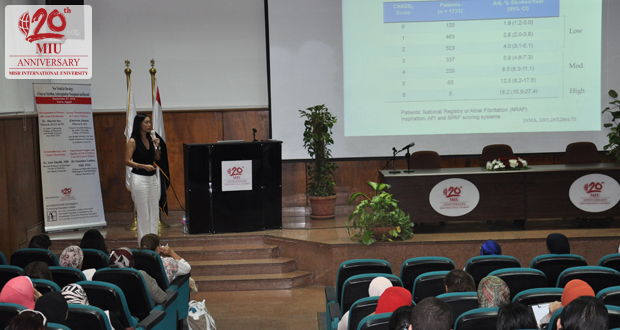 The workshop’s third session was conducted by Dr. Ebtesam Ahmed, Pharm.D, M.S. Clinical Associate Professor St. John’s University College of Pharmacy and Health Sciences, New York – USA, who tackled the Venous Thromboembolism in Cancer Patients. Finally, Dr. Yasmine Lashine, MD, PhD, Lecturer of Molecular Genetics Pathology & Pathophysiology, Clinical Nutrition at AUC conducted the fourth session, in which she discussed the Nutritional Support and Quality of Life in Palliative Care of Cancer Patients.